Featuring the worlds first ACTIVEBlade technology, it is the best of the best from Braun. The unique ACTIVEBlade moves up and down to easily blend even the hardest foods with less effort. Get used to being able to do everything. The new flagship of the Braun range makes you unstoppable in the kitchen. 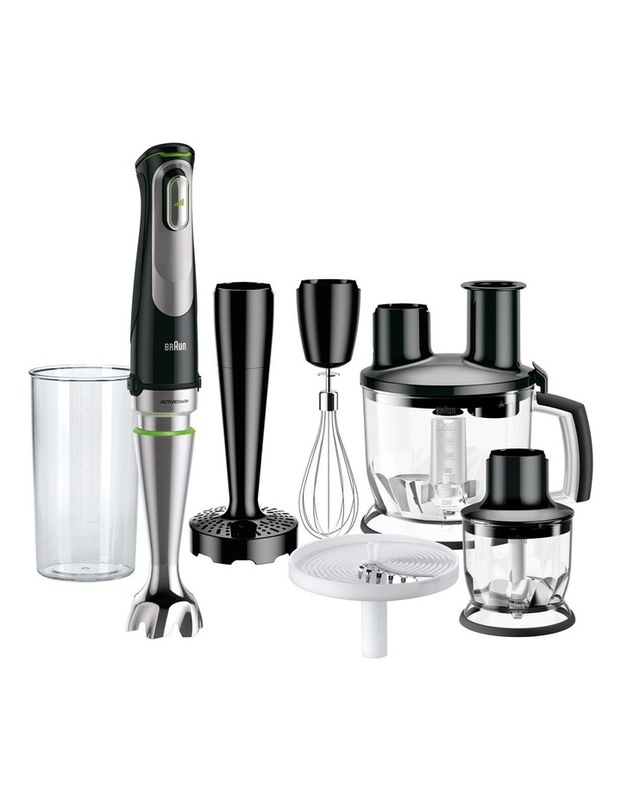 Includes food processor, puree / masher, chopper, whisk and beaker, splash control technology. Welcome to a completely new food preparation experience. The innovative moveable blades gives you 250% more active cutting area to work with, which results in 200% finer blending on the toughest jobs*! That means you can get more creative because even the hardest foods cant stop you. Add flair to your next dish with a touch of coconut, ginger, dark chocolate or almonds whatever you like. The Braun Multiquick 9 lets you get the job done right, no matter how hard it is.